National Payment Solutions is proud to announce its new Dynamic Interactive Solutions (DIS). DIS is a revolutionary new approach to interactive communications. The disPLAY platform has a low barrier to entry, thanks to its intuitive design and freedom of deployment. 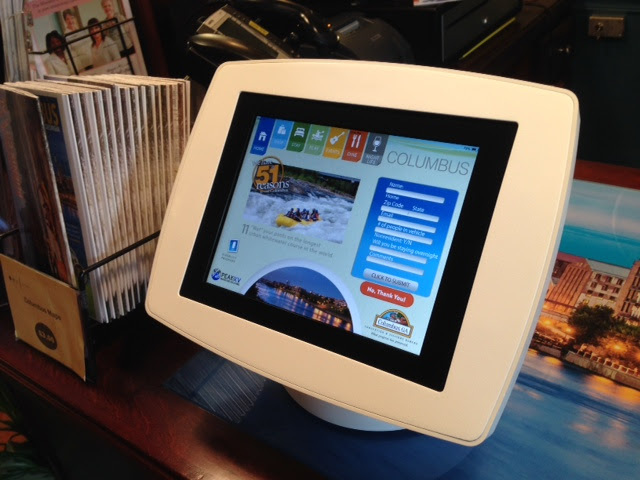 With disPLAY you will have outstanding opportunities to build exciting interactivity into your marketing. National Payment Solutions has created a unique comunication medium beneficial to both you and your customer. Information kiosks have proven to be very succesful piece of technology as it is familiar, and available, to millions of people around the world. National Payment Solutions with DIS offers a myriad of digital signage options providing the perfectly tailored solution for any position in public spaces, such as retail environments, hotels, tradeshows and museums. With this stable and swift combination, it’s easy for businesses to start communicating utilizing DIS software, your content is always current and relevant with a full analytic capture. It is time to stop guessing if your advertising dollars are hitting the mark.